We are fairly recent cruisers and wanted a winter sun break and booked this cruise in January on line. The weather was superb and we were told by the crew the best they have had for several years. We flew from East Midlands to Tenerife and arrangements at departure, on arrival, coaching to Santa Cruz and boarding Marella Dream went like clockwork. The ship is old but is modern in appearance with good quality furnishings and the staff very friendly and helpful, nothing was too much trouble from our room steward to the bar and restaurant staff. Corridors and lift space are a little narrow and not as spacious as more modern ships. 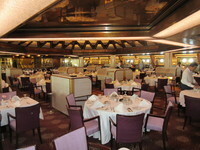 The variety of lounges and drinking and dining options were first class as was the food and drinks. We like to be on our own for dinner and for six nights we were served by Jennifer and April who looked after us very well. The Marella Dream Show team and their shows in the Broadway Show Lounge were excellent. Some very good singers and dancers however the comedian Alan Wilkins material was older than us and we are in our 70&apos;s. The resident band were again very good with such a wide range of music on offer. Our only disappointment was the lack of space for sunbathing when we had such good weather. We were birthed in walking distance of six of the places we visited which is brilliant. There were lots of excursions and trips arranged which people we spoke to enjoyed. 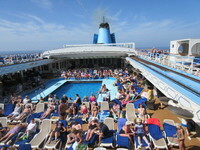 Leaving the cruise was also faultless, colour coded luggage and well organised. Our only disappointment was East Midlands Border Control on the return. It took about 30 minutes to process us which is not acceptable. 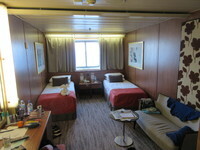 A superb restful and enjoyable cruise. Thank you TUI. 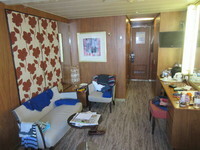 Our cabin was well furnished and light with a decent sized window, comfortable single beds and chairs. Huge amount of storage in wardrobes, drawers and bedside cabinets and a nice desk and side table. Coffee and tea making facilities replenished twice a day by Alejandro our steward who was superb. We had a mini bar/fridge which we didn&apos;t use and an electronic safe which we had to pay £15.. Our bathroom was clean and tidy with lots and lots of towels and hot water, our only criticism was the bath with showers over. We only ever shower at home so it was a bit of a pain having to climb in and out of the bath. But there was always lots of hot water.